Open Source is all the rage today. Don’t believe that statement? Consider the fact that Google’s Android open source operating system boasts 78 percent of the smartphone market. Not sure what open source is? It’s the software whose source code is available for modification or enhancement by anyone. Google’s Android open source operating system boasts 78% of the smartphone market. Instead of building its operating system within company walls, Google decided to go the open source route for a simple reason: to encourage its adoption. Faced with a choice of paying Apple for its operating system or taking a free system from Google, many phone manufacturers decided to go the Android route. In other words, Google was right. 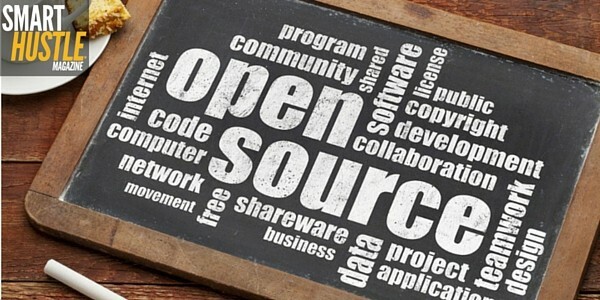 Indeed, more and more companies are turning to open source. Instead of relying on a tight-knit group of internal developers, these forward-thinking businesses are widening the talent pools from which they can draw, so to speak, by opening up projects to the open source community. In doing so, they’re able to tap into the minds of a slew of programmers. Together, the open source community works to improve application functionality, design, and security. It’s not just one company or one project, but many big-name players are choosing to embrace the open source philosophy as they go about doing their best to conquer illnesses. For example, Johnson & Johnson spinoff Animas is working with Tidepool, a company that provides open source data-access technology to diabetes patients. Quite simply, the partnership seeks to provide patients and their loved ones with actionable information in real time. In the world of big data, it seems as though everyone is looking to store their digital files somewhere. Because of the versatility it provides – such as accessibility and device-agnosticism – companies are increasingly turning to the cloud to meet their storage needs. Storj is an open source cloud storage platform that gives users the peace of mind that comes with knowing their data is not only secure; it’s also encrypted. Things would be a lot less expensive if the government didn’t meddle in the markets, and instead folks could pay one another a fair price for goods and services, right? That’s the idea behind OpenBazaar, an open source marketplace. Users can log onto the service, which is similar to BitTorrent, and connect with other buyers and sellers. Once a transaction is set up, payments can be made with Bitcoin. In other words, OpenBazaar is an untraceable marketplace that helps buyers and sellers retain their anonymity. Sony. Anthem. Target. It seems as though every few days there’s a new story published that tells us yet another major company has been hacked. In fact, global cyber crime costs more money than crime related to the cocaine market, stolen smartphones and stolen vehicles combined. In any case, many businesses, understanding that they could be the next victim, are doubling down on their digital security investments. Enter Cuckoo Sandbox, an open source tool that analyzes malware, producing informative reports describing the threats attacking your network. With a name like CockroachDB, what’s not to like? Former engineers unveiled Cockroach Labs earlier this year. Their prized offering is CockroachDB, a scalable database that, like its name suggests, is said to be able to weather a storm of any magnitude. These days, customers expect businesses to answer their every beck and call. As such, companies need to invest in databases and data centers that remain online always. At the end of the day, one thing is certain: The world of open source is exciting. Who knows what 2016 will bring to the open source community and the rest of the world?